Great looking industrial metal Construction. 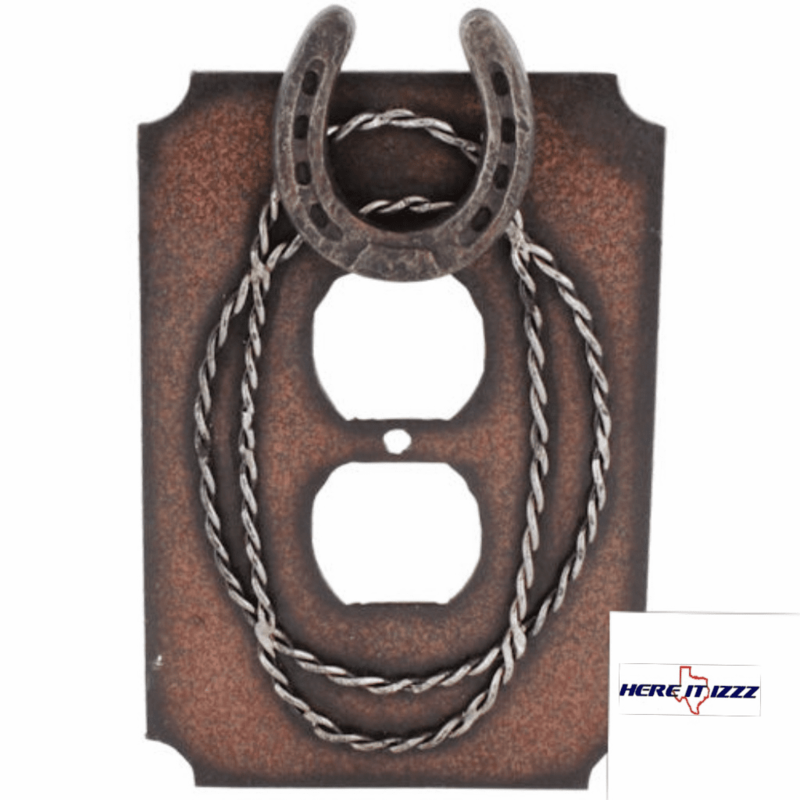 With barbed wire fence and Horseshoe accents. 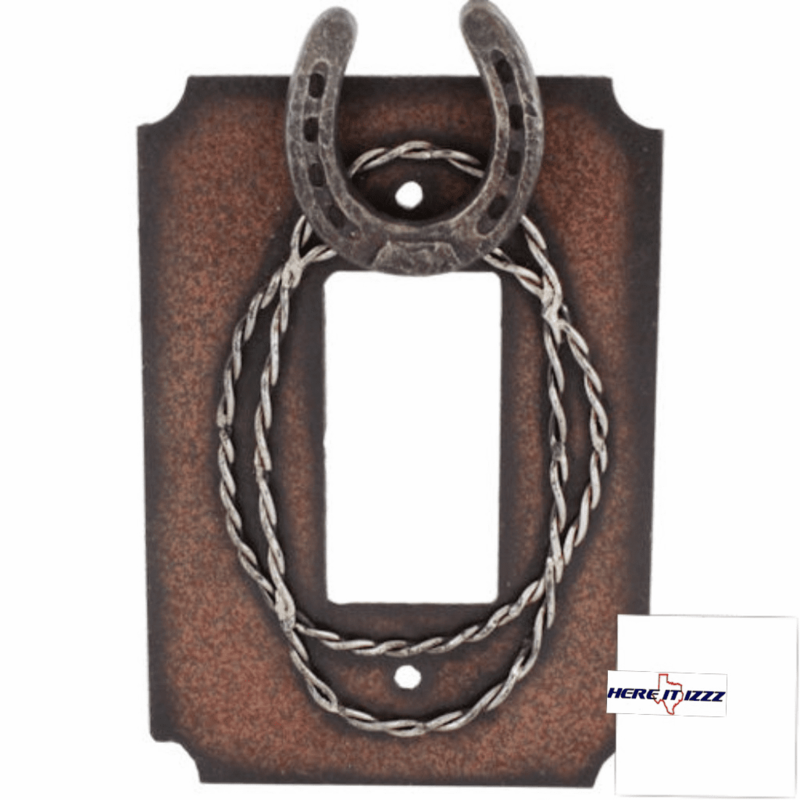 Great looking oxidized coloring give it that outdoorsy feel. 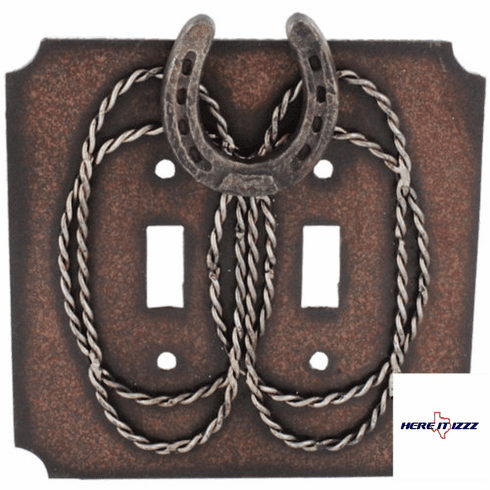 Replace your standard double light switch cover with one of our horseshoe barbed wire plate covers. 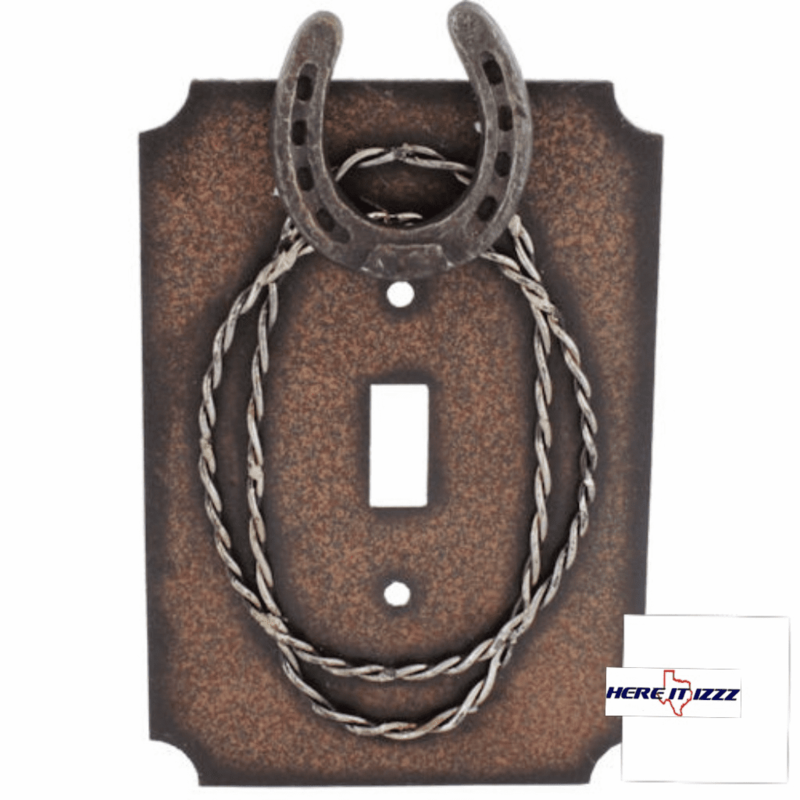 This is a great-looking item and very easy to change .Included mounting screws in each double switch plate.